Cornelius Carr Wallace was born at Guildford, NSW, on 31 May 1916, the son of Federal ALP parliamentarian Cornelius Wallace (1881-1921) and his wife Bridget (b.1912), nee Gallagher. He died at Concord Repatriation Hospital on 9 November 1977, survived by his wife Dorothy, daughter Carol, and step-children. He was cremated at the Eastern Suburbs Crematorium. Cornelius Carr Wallace enlisted in the Australian Army on 4 August 1944. He served with Z Special Unit and was ranked Lieutenant when discharged on 12 January 1946. His father had been a seamen and union official but Cornelius Carr Wallace’s occupation has not been determined. Con Wallace was the foundation Vice-President of the Kings Cross Chamber of Commerce, and was a life member of the Kings Cross R.S.L. Club. He served the Australian Red Cross Society as a member of the New South Wales Central Committee. 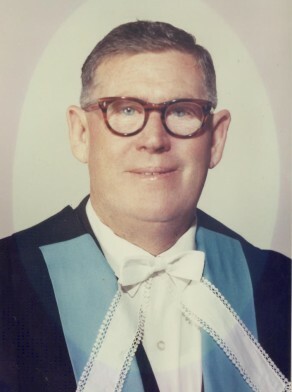 Con Wallace was elected Alderman for Gipps Ward, 5 December 1959 until 13 November 1967 when the Council was replaced by a three-member Commission. He was a member of the Health and Recreations Committee, 1962-67 and its Vice-Chairman in 1962. He belonged to the Works Committee, 1962-67 and was its Vice-Chairman from 1963 to 1967. He was a member of the Finance Committee and the City Planning and Improvements Committee in 1960-61. Wallace was a member of the Metropolitan Water Sewerage and Drainage Board from 1967 to 1972. He was a member of the Australian Labor Party.